Eye Issues In Children: Early Detection Is Crucial! Compared to all senses Vision is very critical to the overall development of a child and good vision gives proper inputs to the brain. Any interruption in the vision in the formative years not only impairs vision but also affects the brain and results in overall delay in the development milestones. A child’s eye is not merely a smaller version of an adult eye, and the causes of childhood blindness/visual impairment differs from adult blindness. Sometimes children are unable to express the visual problems and hence it is essential to have eye screening for all children to identify the ones with a problem at an early stage for effective treatment. Children most often cannot verbalize the issues they are suffering from except when the condition is painful. 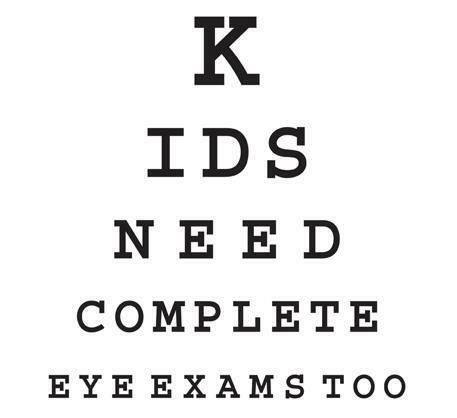 Therefore parents play a crucial role in identifying any eye condition, which can affect their kids. Some of the most common symptoms are listed below. Most of these can be identified if one looks for it. Some of the above symptoms can be seen in isolation or combined. Ideally it is good to have an eye check up at birth, 6 months, 1 year, school entry and post that on an as and when required basis, depending on the symptoms or presence of any familial eye conditions. The child needs vision assessment, glass power check up, and comprehensive eye check up by an eye doctor preferably by pediatric ophthalmologists. Treatment depends on the conditions. The following are some of the very common eye diseases, which can affect the children in the 2-6 years age group. Refractive errors in the form of near (myopia) or far sightedness (hyperopia), astigmatism. A pair of glasses can correct the above. It’s important to note that a change in diet cannot revert or reduce the glass power. Lazy eye or Amblyopia can result from refractive error, strabismus (squint) or due to any interruption of vision which can block the image forming in the retina of the eye, e.g. : cataract, corneal opacity. Treatment of lazy eye includes rectification of the cause with glasses and patch therapy where the eye with better vision is patched using an eye patch for 2- 6 hours per day. Squint – Strabismus – Crossed eyes: There are many varieties of squint in children. Some of them are congenital and some are acquired later in life. The deviated eyes can be corrected occasionally by glasses or prismatic correction. Most of them need surgery. Cataract: Congenital or developmental cataracts in children are different from adult cataract. Most of them require early surgical treatment and glasses. Some of them can have associated general health issues, which should be co-managed by the ophthalmologists and pediatricians. It’s very important to have periodic follow up after the surgery. Glaucoma: it is a condition where the pressure inside the eye is high due to various reasons. The mainstay of treatment is surgery. Other childhood eye conditions include Retinoblastoma and other tumors, Retinopathy of prematurity and other retinal / optic nerve diseases, Ptosis or droopy lids, Birth defects, Brain and eye related conditions. Some of the irreversible blindness or severe visual impairment in children can be immensely helped by Low vision aids, rehabilitation, alternative education system such as Braille or computer assisted education. Parents, teachers and caretakers play a crucial role in identifying and rectifying problems in children.